Get a customized door perfect for your home! Are you look for the perfect addition to your home, like a custom door to convey exactly the right personality? You’re in the right spot then, since our custom door installation team is ready to give you the curb appeal and personalized style that your home deserves! Our hand-made custom doors match seamlessly with your home, and come in plenty of styles and configurations. When you hire Home Improvements USA for your project, you know that you have the full breadth of choices, all at a great price! 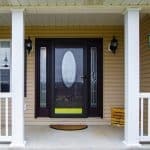 As the professional door installation team of choice in the Naperville area, our experts have exactly the know-how to match a new door to your home. We would love to understand your goals for your home remodel, so that we can offer you a plan and a variety of price points to meet those goals. Wood entry doors: More expensive that other options, but classic. Does not age as well as other types, as it will lose efficiency with time due to warping. When we pick a brand of products to install, we always defer to our installation team’s expertise. They have worked with practically every type of door out there, and know how each brand performs in the real world. Because of this, we have a variety of options to fit your homes budget, but you can rest assured that every option we present is rigorously vetted by expert craftsmen. We would love to hear more about your home remodeling project, so that we can suggest a few custom doors that match your needs and style. Here at Home Improvements USA, we believe in making the remodeling process radically convenient and painless. We start with great communication and follow through with a seamlessly delivered replacement door. 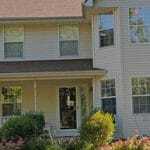 Ready for us to prove to you how great a home remodeler can be? Give us a call today for a free consultation and measurement, and we will show you that we are the best choice for Naperville families looking for outstanding workmanship at an unbelievable price! Custom	Overall rating:	5	out of 5 based on 1	reviews.